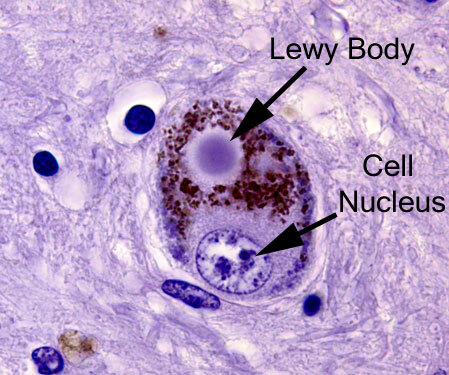 Lewy bodies are densely packed, circular clusters of protein that have traditionally been considered a characteristic feature of the Parkinsonian brain. Recently, however, evidence has been accumulating which calls into question this ‘defining feature’ of the condition. The presence Lewy bodies in some cases of other neurological conditions (such as Alzheimer’s), and their complete absence in some cases of Parkinson’s, are leading many researchers to question their pivotal role in PD. In today’s post, we will look at a new research report of Parkinson’s post mortem cases studies which present no Lewy bodies, and we will disucss what this might mean for our understanding of Parkinson’s and the future treatment of the condition. 1. The loss of specific populations of cells in the brain, such as the dopamine producing neurons in a region called the substantia nigra, which lies in an area called the midbrain (at the base of the brain/top of the brain stem). As the name suggests, the substantia nigra region is visible due to the production of a ‘substance dark’ molecule called neuromelanin in the dopamine neurons. 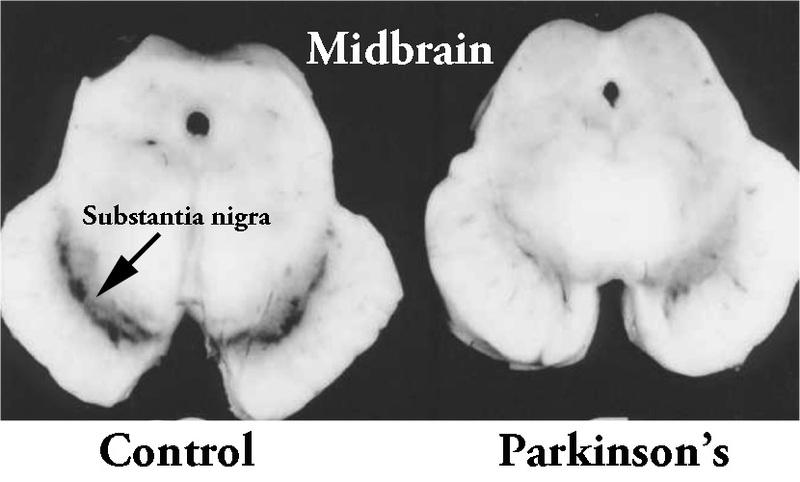 And as you can see in the image below, the Parkinsonian brain has less dark pigmented cells in the substantia nigra region of the midbrain. 2. Dense, circular clusters (or aggregates) of protein within cells, which are called Lewy bodies. A Lewy body is referred to as a cellular inclusion, as they are almost always found inside the cell body. They generally measure between 5–25 microns in diameter (5 microns is 0.005 mm) and thus they are tiny. But when compared to the neuron within which they reside they are rather large (neurons usually measures 40-100 microns in diameter). 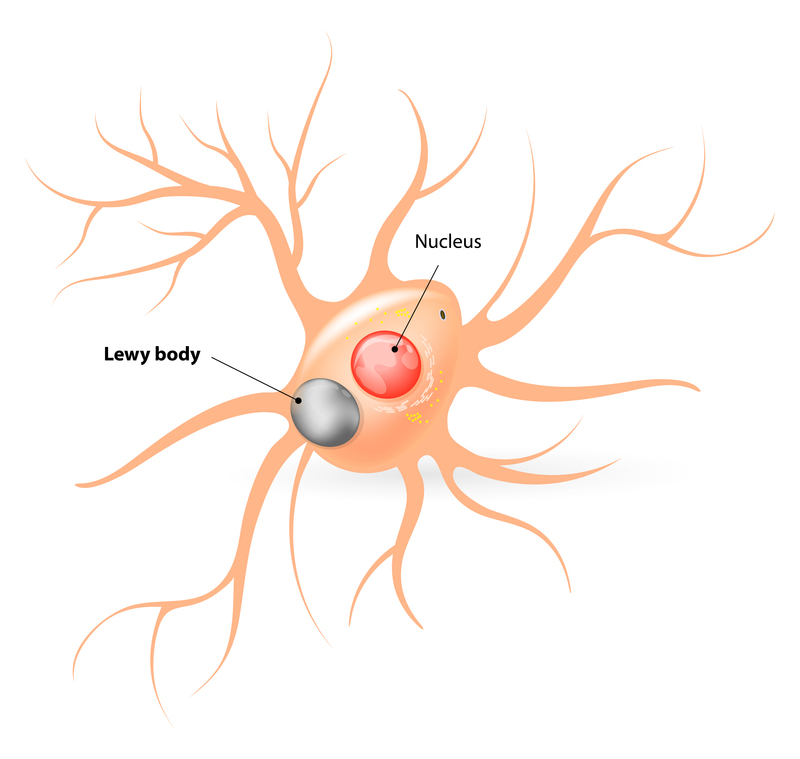 Do all Parkinson’s brains have Lewy bodies? This is a really interesting question. Welcome to the topic of this post.